• Magna-Peel laminated post cards give you extra impact in your direct mail (or bulk mail) marketing. • Your 4x3.5 House Shape Magnet is glued to the surface of the card, giving you the most convenient way to get your magnet & message into your customer's hands. 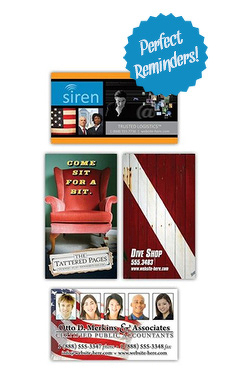 • Studies show that postcards with magnets attached are much more widely read than ordinary direct mailers.